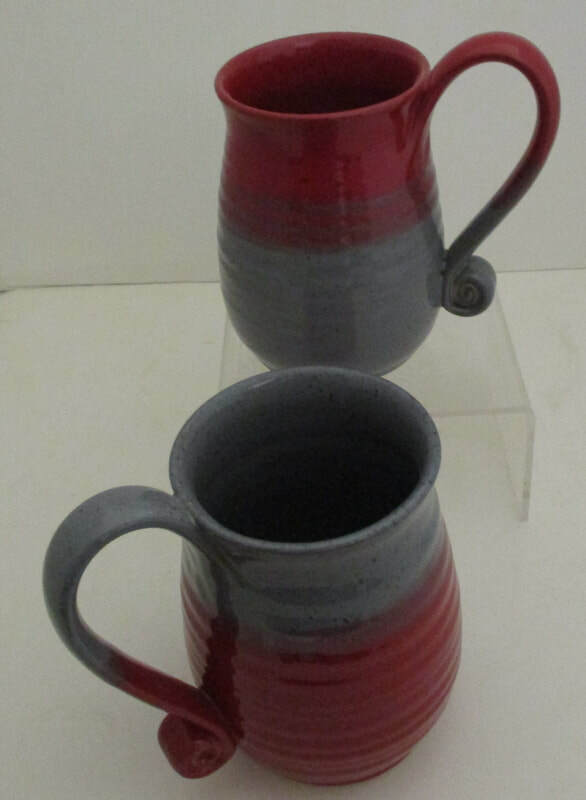 A variety of items Created in our Gallery. 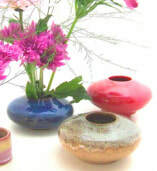 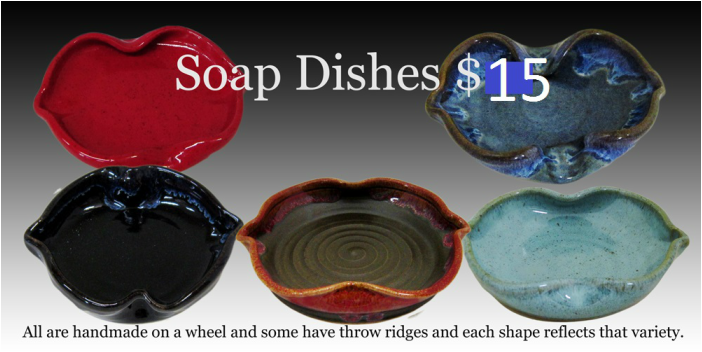 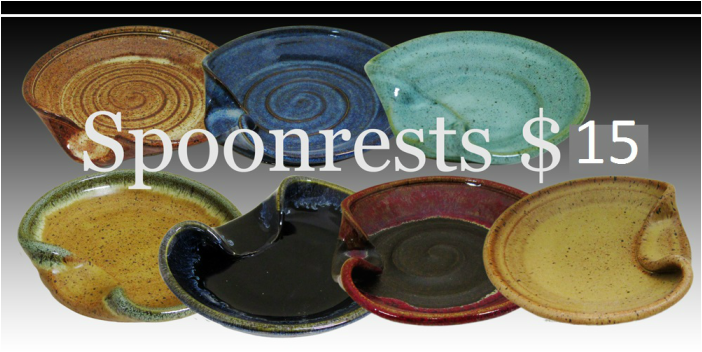 Each item is unique and created from a wheel, thrown and glazed at at the gallery. 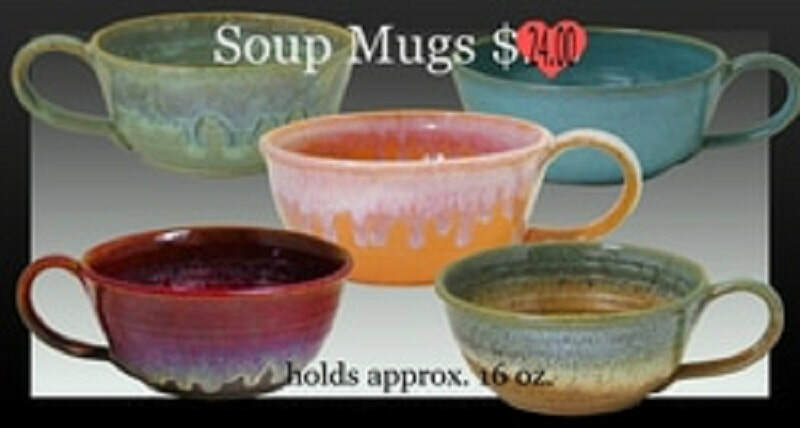 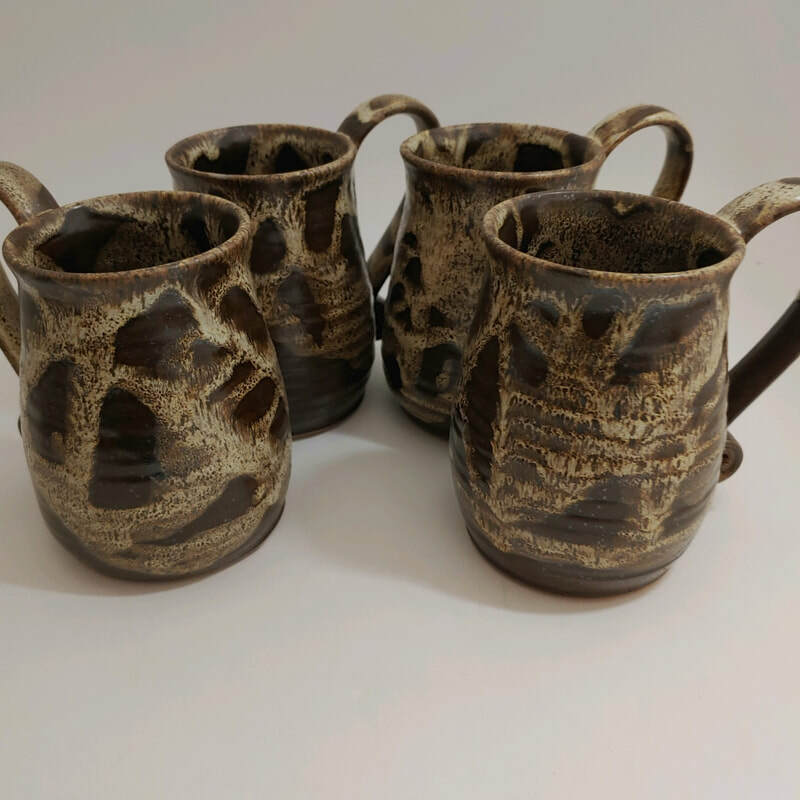 Soup Mugs are $24 and hold approx 16 oz.